The makers of KGF are planning to release the movie in China as well after the amazing response it received in varied parts of Asia. 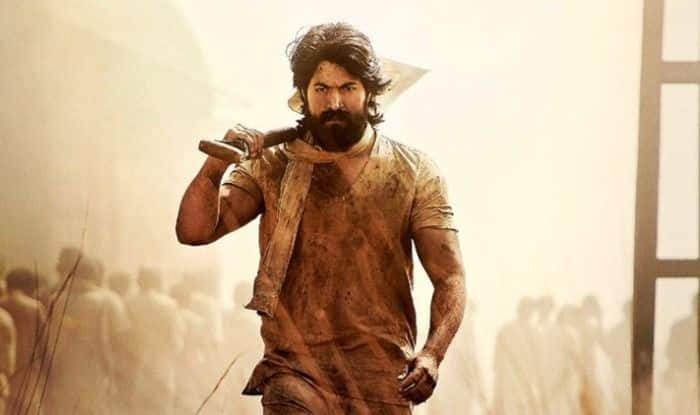 Running successfully even after three weeks since its release, Yash Starrer KGF is raging at the Box Office in the US where the action drama is close to grossing $1 million. Beating all previous records, the movie has set a herculean bar in the industry as it becomes the highest grossing Kannada movie in the US. As per a report in the Times of India, KGF chapter minted close to $800000 in the US, which is over Rs 5 Crores. Hombale Films, the production house that backed KGF, confirmed the figure after the movie completed 25 days at the box office yesterday, a huge achievement for a Kannada film. The movie has been doing exceptionally well domestically as well, not just in southern areas of India but in its Hindi version too where KGF had made over Rs 40 Crores, being the highest grossing dubbed Hindi film after Baahubali 2, 2.0 and Baahubali, according to traders. Earlier, Ritesh Sidhwani from Excel Entertainment, who had presented the Hindi version, talked about the success of the movie and said, “As long as the story is engaging, there will be some emotional connect to it. As long as the film connects with you, emotionally identifies with you, I don’t think language would be a barrier.” Given the increase in its viewership by the day and fans increasing demand, the makers of KGF are planning to release the movie in China as well after the amazing response it received in varied parts of Asia.